The Toronto Blue Jays have claimed former Yankees and Mariners C/1B/DH Jesus Montero and designated AJ Jimenez for assignment. It's an unexpected move and not one that really fits the Blue Jays needs as there is no place for Montero on this roster. Russell Martin and Josh Thole have a firm grasp on the two catcher positions while Chris Colabello and Justin Smoak will man a crowded first base position. 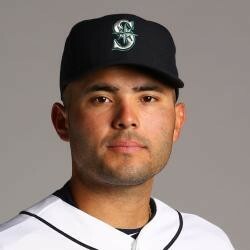 Expect Jesus Montero to serve as minor-league depth.